Every year, December 3rd marks the International Day of People with Disability. It’s an important day for all of us. According to the Australian Department of Social Services,around 18% of all Australians live with some form of disability. That number significantly increases with age, with approximately 51% of people aged 65 and over living with a disability (DSS). That’s more than four million of our compatriots living with a disability that impacts their everyday lives. That’s millions of their wider circle – families, friends and support workers – who are also affected. Then, there are those of us who today may take our health for granted, but tomorrow may ourselves be in need of disability support. 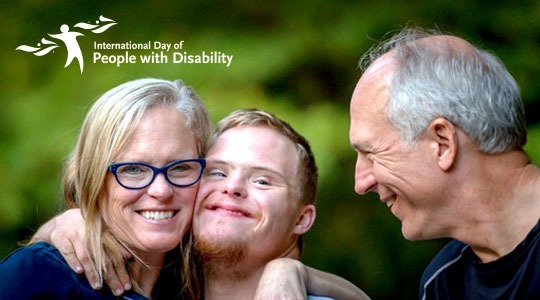 The International Day of People with Disability (IDPwD) on December 3rd is a United Nations sanctioned day that is celebrated around the world, with the aim of increasing public awareness, understanding and acceptance of people with disabilities. It is an opportunity to recognise the many achievements and contributions of people living with a disability, as well as offer support. According to the UN, this theme focuses on ‘inclusive, equitable and sustainable development’, as part of their overarching 2030 Agenda for Sustainable Development. It’s about creating tangible solutions to any impediments, that have real longevity. Since 2016, the National Disability Insurance Scheme (NDIS) has been rolling out across the country, with its implementation almost complete. The NDIS provides a more person-centric approach to disability support than has ever been seen before in Australia. It puts the individual at the centre of planning, empowering them to make their own choices when it comes to their funding and care. It aims for an inclusive approach to improve the lives of all people with a disability, as well as their families and carers. For the first time, this strategy has brought together state governments, local organisations, registered service providers, the community and the individual to create holistic solutions. We’re working together to make real change. There are so many ways to get involved this International Day of People with Disability. Hold a fundraising or awareness event at your workplace, or your kids’ school. Invite people to a morning tea or simply engage in one of the many national events taking place. You can search the calendar here. Zest Personalised Care is a registered provider of NDIS disability support services. Please get in touch if you’d like any more information about how we work with individuals to achieve their goal.